What Matters? 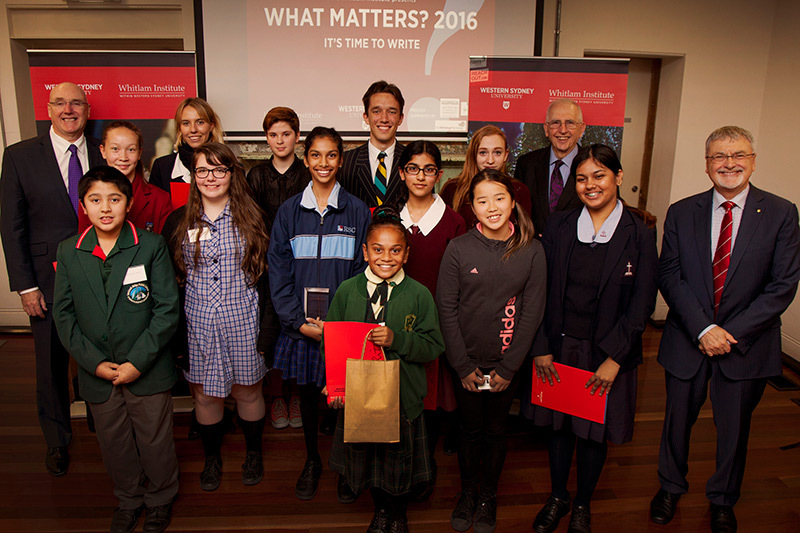 is an annual writing competition run by our friends at the Whitlam Institute. Inspired by Gough Whitlam’s commitment to involving young people in the shaping of Australia’s future, the competition is open every year to NSW, the ACT and Tasmania school students in years 5 to 12. Responding to the simple question ‘what matters?’, entrants are free to express their views on any matter they care about. WestWords would like to congratulate all students who participated in the biggest ever What Matters? competition. 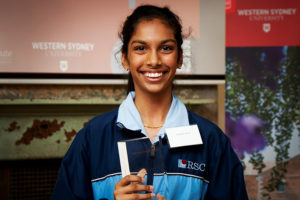 An astonishing 3870 students in NSW the ACT and Tasmania entered this year! The winners and runners up have been announced, and we’re pleased to share their entries with you. They’ll soon be published in a booklet with lots of pictures from the Award Ceremony, but if you just can’t wait you can check them out here or on the Whitlam Institute website! 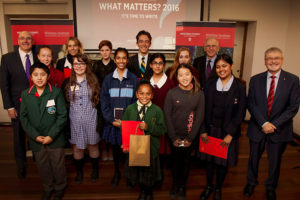 Western Sydney University Vice-Chancellor, Hugh Mackay AO, What Matters? Patron and Professor Peter Shergold AC, Western Sydney University Chancellor. What was astonishing was that for the first time 7 out of the 8 category winners and runners up in the NSW/ACT competition came from Western Sydney!